Imagine what it would feel like to breathe in the most powerful way for your body – It would feel pretty fantastic, right? That’s what we want to help you to do. Transformational Breath® is an amazing technique that works on three levels. On the first level, it teaches you to use your breath to open your complete respiratory system. Physically this energises, clears toxins, and boosts the immune system. It reduces stress hormones; in fact, each session can clear ‘something’, leaving behind deep feelings of relaxation. The emotional is the second level: Emotionally, Transformational Breath® provides an opportunity to access those deep unresolved issues and integrate them in a way that has an immediate benefit in your daily life. This tool works deep with the subconscious. The third level of Transformational Breath® is personal and partially dependent upon belief systems; for some, it’s deeply spiritual, others fast track to deep meditative states. Dr Judith Kravitz developed Transformational Breath® over 30 years ago in the US. There are amazing stories of self-healing using Transformational Breath®; including a reduction in symptoms of a disease, such as cancer and back pain. Tens of thousands of people have benefited from this tool. 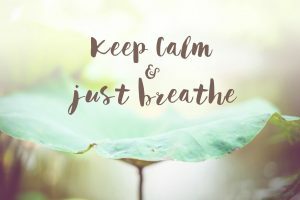 The popularity of Transformational Breath® continues to soar globally, in response to a crisis in physical and mental health (as well as a lack of funding). The Institute of Complementary and Natural Medicine has announced that Transformational Breath® UK is the winner of its prestigious ‘Best Complementary Medicine Organisation’ for 2014. Did you know the average person takes nearly one thousand breaths an hour? So yes, everyone regardless of age, health or condition can benefit from learning how to breathe using their full respiratory system. The four basics of Transformational Breath. The physical, mental, emotional and spiritual levels. How to identify your breathing pattern through breath analysis. The use of different modalities including body mapping, toning and pounding for energy release. How when you return home you can integrate this tool into your daily life. More energy; detoxification of the body; integration of stress and tension; relaxation of the mind and body; improved mood, relief of physical and emotional pain; boost the immune system; and access to spiritual experiences. Experience immersion, insight and something profound; let our professional team take care of you during this facilitated Transformational Breath session with guidance and support. Everybody can benefit from breathing better. We may need to make certain adjustments, e.g. prop you up on some extra pillows. There will be an opportunity at registration for you to make us aware of any medical conditions. It’s great for pregnant women too!